I have been getting SO into Wet n Wild cosmetics since they have been more readily available over here in the UK. 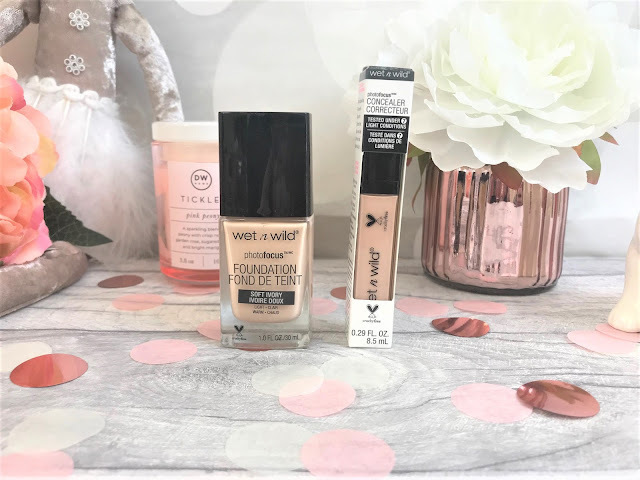 A couple of products I recently picked up are the Wet n Wild PhotoFocus Foundation and Concealer, and if you are looking for a budget-friendly face base, then I would strongly recommend this duo. The Wet n Wild PhotoFocus Foundation costs £6.00 for 30ml and comes in six shades, which obviously isn't the greatest, but hopefully they will release more. The idea behind this particular foundation is that it gives the skin a flawless camera-ready look every single time, and was tested under seven different photo lighting conditions. The product comes in a glass bottle and has a spatula applicator which I wasn't crazy about, but I just smeared some onto my Beauty Blender and that worked fine. I much prefer pump applicators in foundations. I have the shade Soft Ivory which is the lightest shade in the selection and this suited my fair skin pretty well. 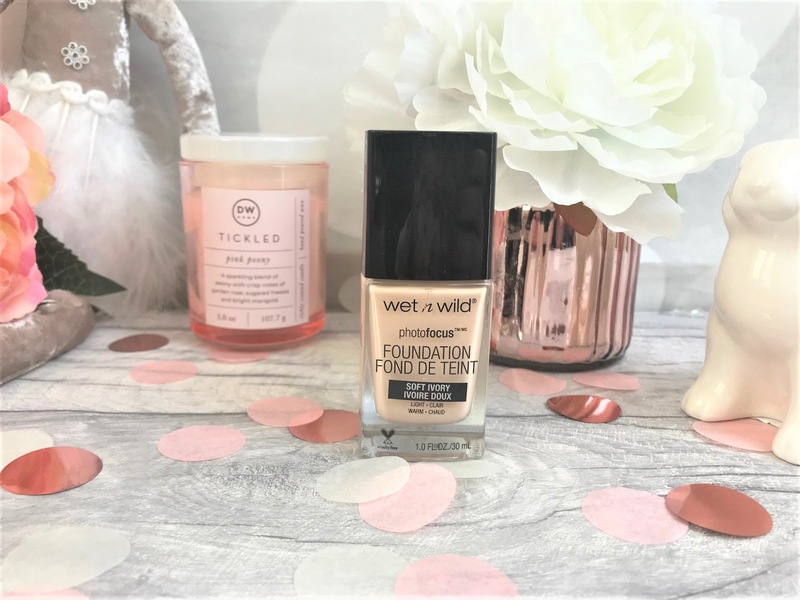 I am super impressed with this foundation, the coverage is amazing, a little goes a long way and it gives a matte look to the skin without it looking dry or cakey, and for just £6.00 you absolutely could not go wrong. Even if this product was at least triple the price I would purchase it. The Wet n Wild PhotoFocus Concealer has less shades, with just four in the collection and costs £3.75 for 8.5ml. 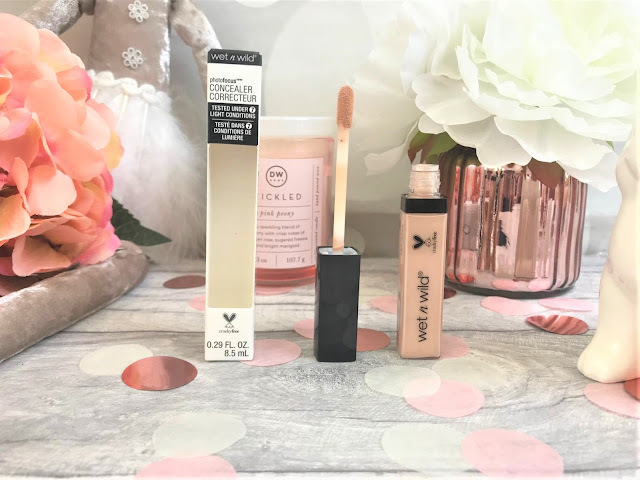 Here I have been trying out the lightest shade Light Ivory and unfortunately it is slightly darker and warmer toned than the Soft Ivory Foundation, so this is something I would probably need to use more in Summer when I have more colour to my skin. However, that aside, this is such a full-coverage concealer and they really should bring out a 20+ shade range as if more skin tones were able to try it, I am sure at just £3.75 it would sell like hot cakes. The Concealer has a doe-foot applicator, so it is easy to apply to either the skin or onto a Beauty Blender and has a creamy consistency without feeling heavy on the skin or moving around throughout the day. You can find Wet n Wild Beauty online at Beauty Bay.